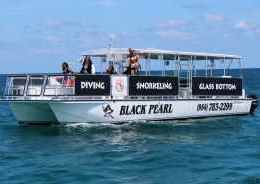 South Florida diving is the perfect trip for enthusiastic divers interested in exploring warmer waters with unique wildlife. We offer certification in both NAUI and PADI methods, and are happy to help you choose which is best for you! Not sure what diving gear is right for you? Trust our experienced pros for objectively sound advice! Whether you’ve lost a wedding ring or your car, you can depend on Captain Rick’s professional divers to find it and recover it. Take the Dive with Captain Rick! As a veteran-owned business, Captain Rick’s is committed to treating its students, customers, and staff like family. We’re about creating a community of divers that looks out for each other, has a thirst for adventure, and are about having fun. We offer the best prices around, and look forward to adding you to our crew! Receive scuba instruction for your entire family! We offer classes appropriate for children as young as five. 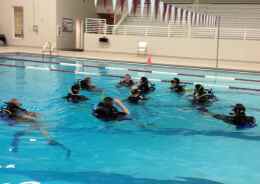 We also offer other scuba instruction eligible for the Boy Scouts of America, helping scouts learn valuable aquatic skills as they gain merit badges. Count on Captain Rick for all of your scuba equipment needs. 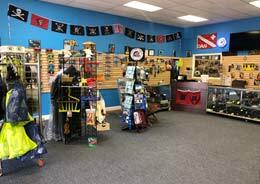 Our dive shop is stocked with high-quality scuba gear that’s been personally curated by Captain Rick. We’re happy to make suggestions based on your needs and skill-level. Students receive additional discounts, although students are not required to make any purchases while they’re completing their certification.